Taking your furry friend to the mountains is probably the best thing one can do during the weekend. Dogs love running through the wilderness enjoying themselves. And if there is something that breaks the idyll for both you and your dog – it has to be the uncomfortable dog leash. The list of best dog leashes for hiking that we have compiled today will show you how to spend a fantastic day with your dog in the mountains. 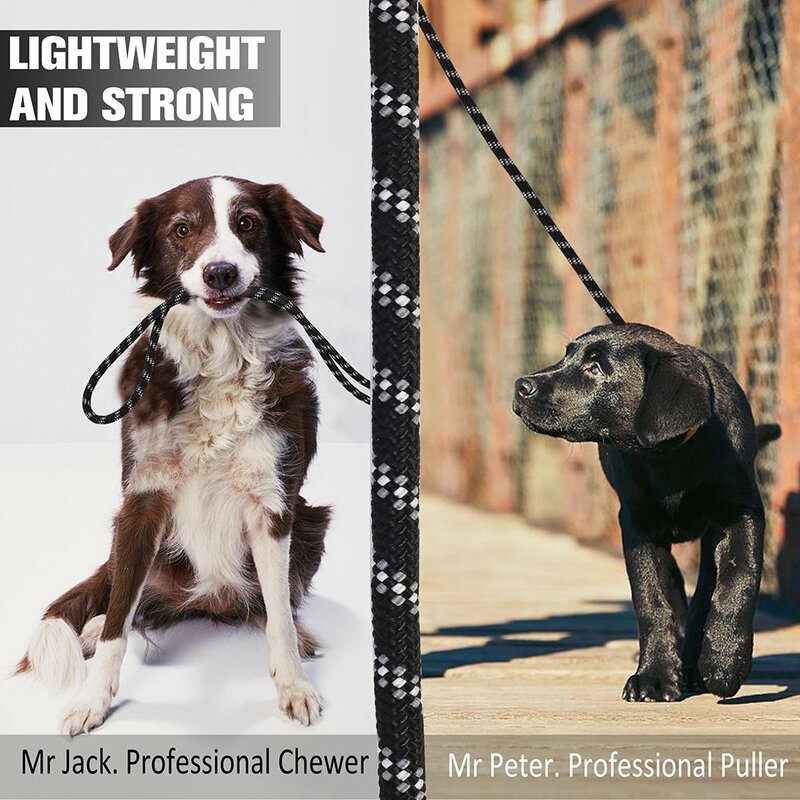 The truth is, there are different dog leashes for different dog breeds which is why you should carefully research before buying one. Food and treats – Whether it’s a bag of biscuits, some treats etc. First aid kit – Better safe than sorry, right? For example, if you have a 6-foot leash or Flexi-lead for hiking, you probably enjoy using it and don’t need to change it. 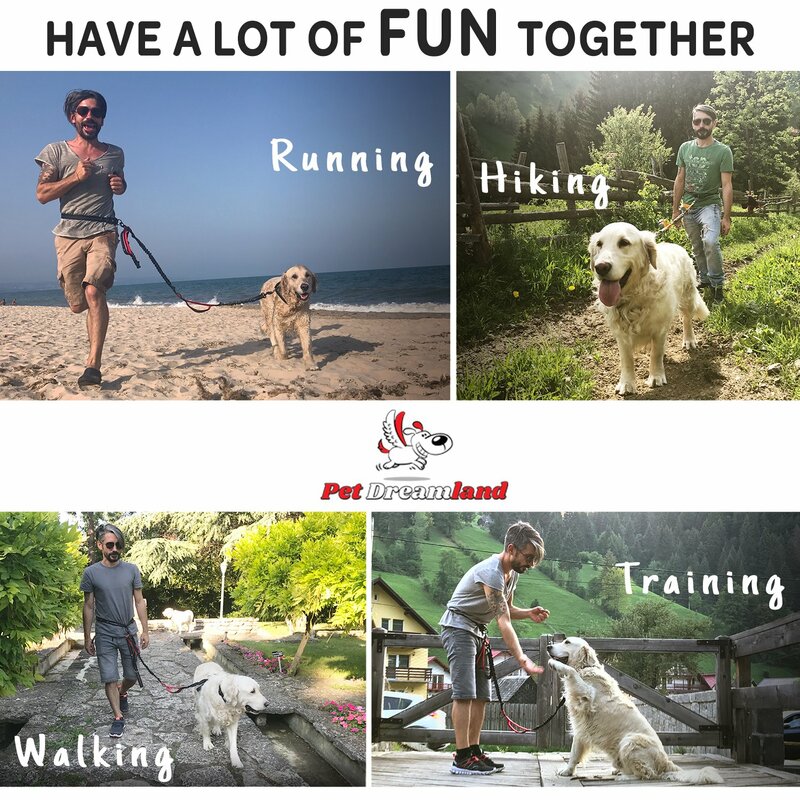 However, if you have troubles with a too short (or too long) leash, check out the best dog leashes for hiking that we are listing below (and their main advantages). We’ll get directly down to the point with our reviews. Let’s get into details! 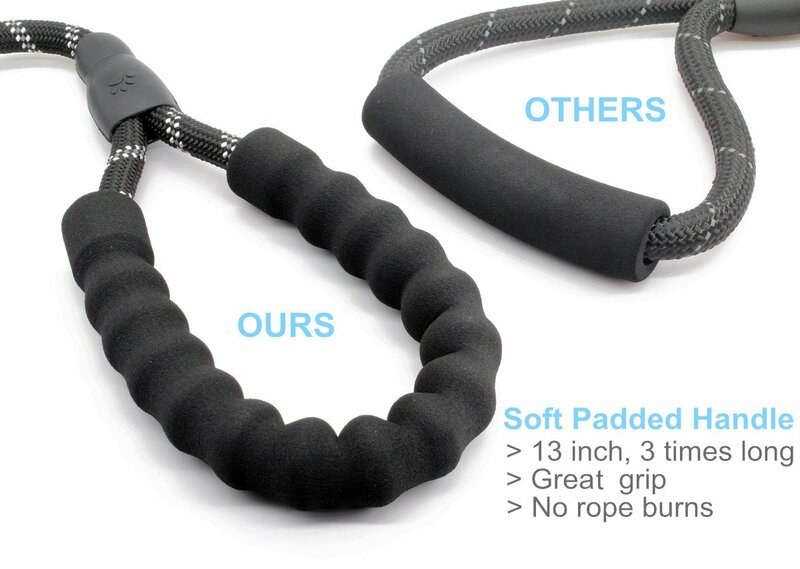 Looking for a durable dual-handle bungee leash? 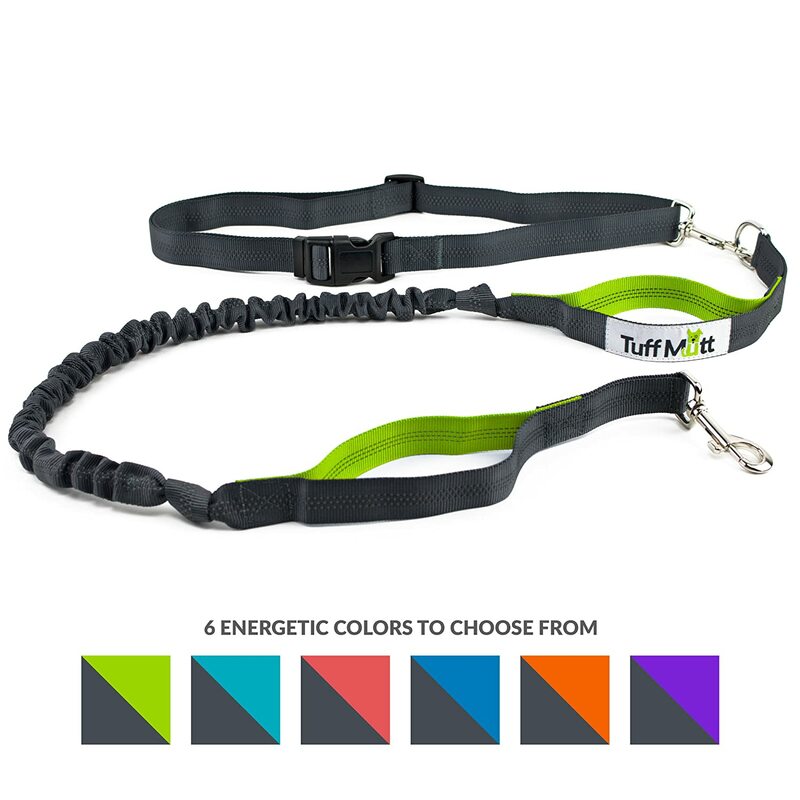 First on our list of best dog leashes for hiking is this product by Tuff Mutt which is basically a leash that is reflective and made of solid materials. It is 4-foot long and has an adjustable waist belt which suddenly makes hiking more interesting. 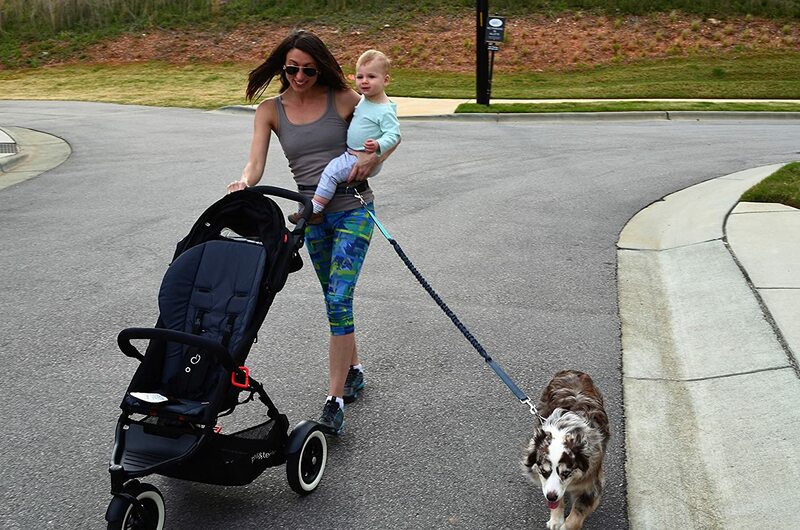 It can fit waists up to 42” and is perfect for jogging with your dog too. What makes this product great is the adequate running room. In other words, your dog can comfortably run in front of you or beside you without feeling like you are stepping on their tail. The leash is long enough to provide plenty of room and comfort during your hiking trip. On top of that, there is maximum ease of controlling it without breaking any stride. It’s time to free your hands with the Black Rhino – one of the best dog leashes for hiking on the market right now. With it, you will be able to take on your phone, carry your water bottle or even both! The neoprene-padded handles are unlike other hands-free leashes. They are dual and layered with an ultra-soft and durable neoprene padding, perfect for detaching from the belt and used as a standard leash with a short traffic handle as a bonus. The length of this leash is adjustable and according to many, is great in reducing shock as well as joint/muscle strain. All in all, this is a product offering great value for money. 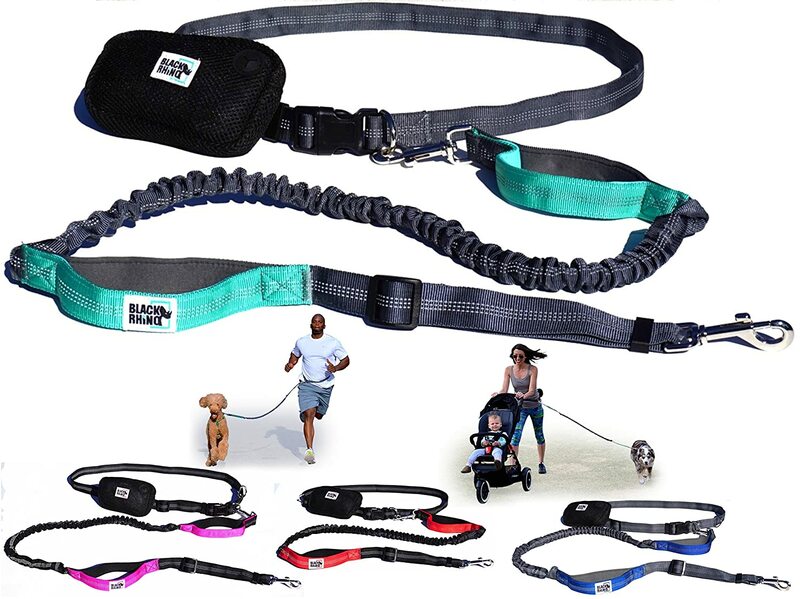 One of the best things about this dog leash is the fact that it comes in seven different colors. As such, it is extra durable and thicker than ordinary dog leashes. Also, it is sturdy enough for large dog breeds and tested up to 1000 lbs. The soft padded handle grip makes a lot of things easier and provides a gentler grip while protecting against friction when the (large) dog pulls on the dog leash. Lightweight and super strong, it also comes with a clip hook that is easy to attach and 100% secure thanks to its advanced locking mechanism. Made of high-density foam and polyfibers along with pillowed back cushions, it is supportive, relaxing and so comfortable that it lets you sink back into. 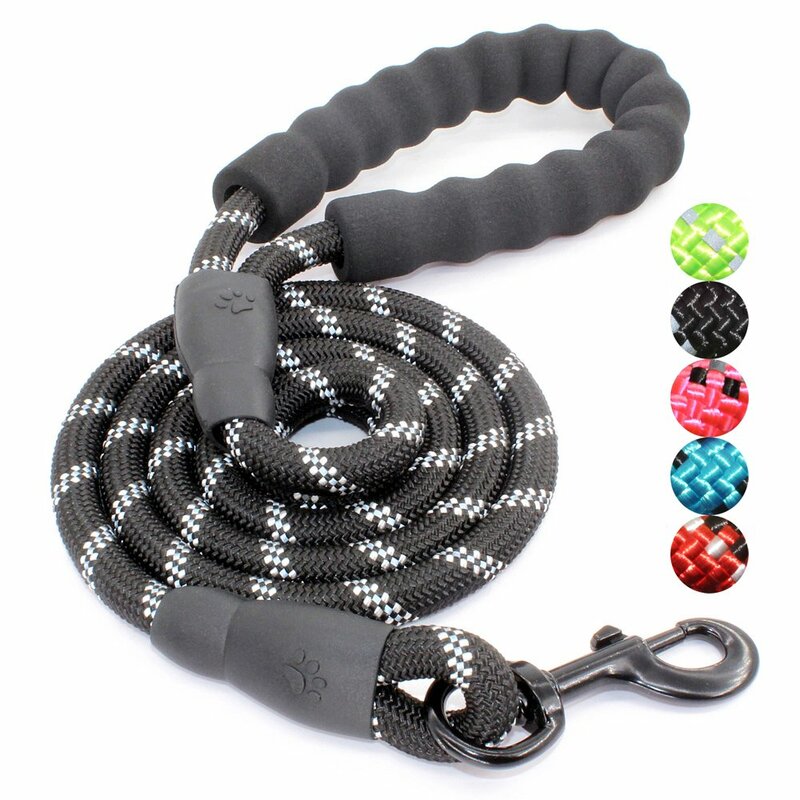 This is one of the best dog leashes for hiking made with the strongest ½ inch diameter rock climbing rope. That makes it durable, strong and comfortable too. There are padded handles that will make your trip better while giving you a shock grip. The dog leash is also reflective for night safety. This makes it ideal for hiking in the night or for tying your dog on a tree and being able to watch it while you are preparing food, snacks etc. 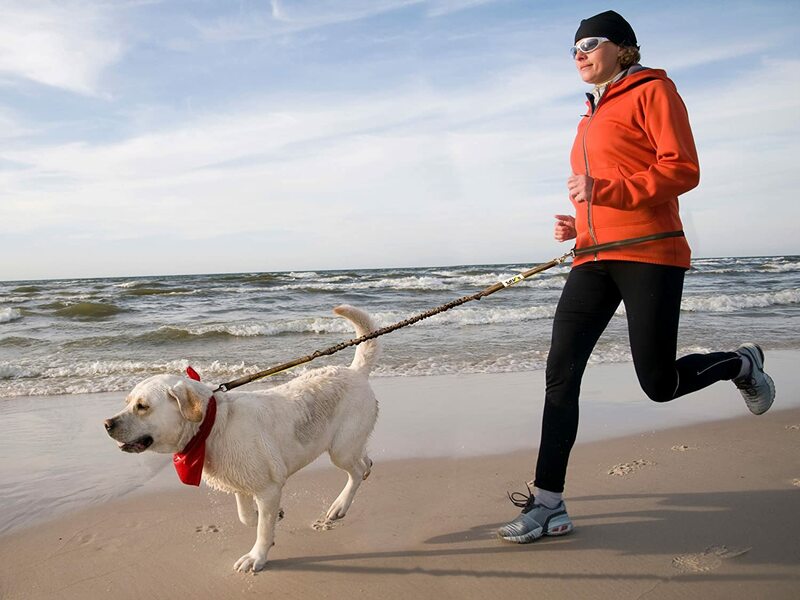 Aside from hiking, though, the BAAPET dog leash is great for walking, running or training with your dog. There is a 100% money back guarantee with the product and the satisfaction is guaranteed. 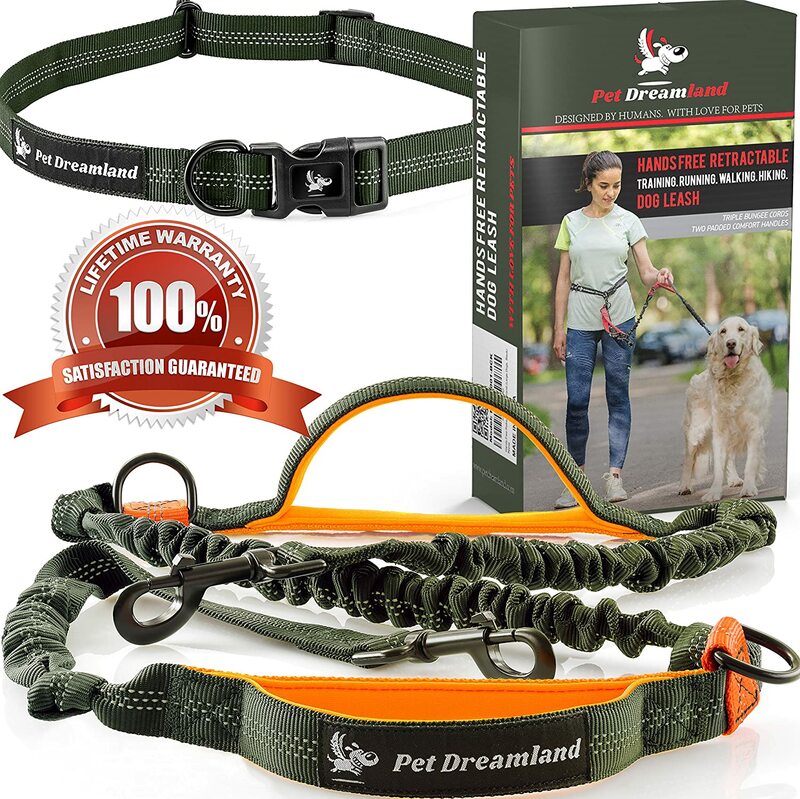 It’s about time you take your walks from pain to pleasure, all thanks to this Pet Dreamland hiking leash. 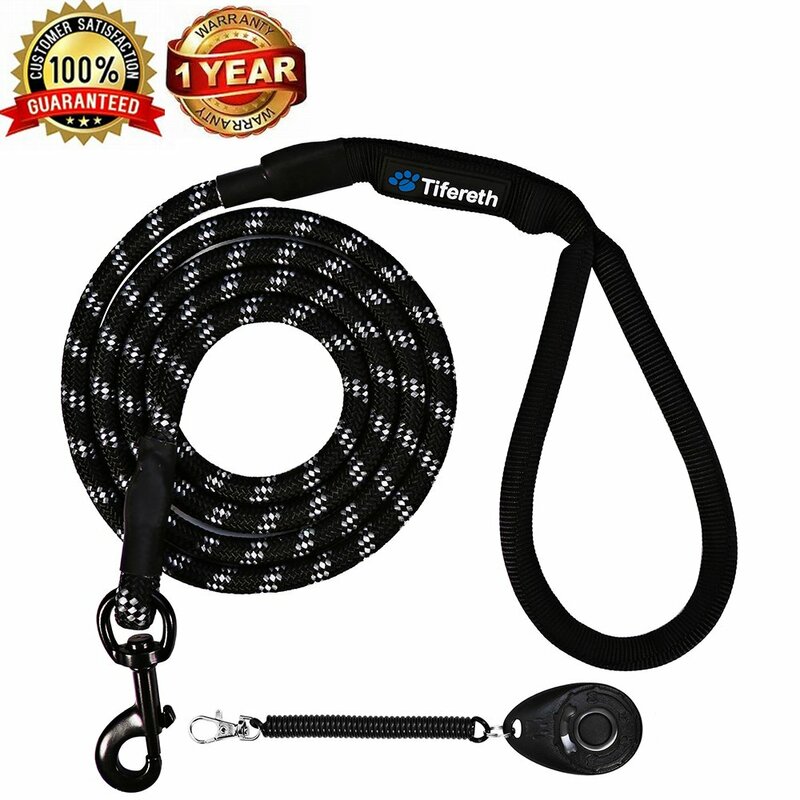 Known as one of the best dog leashes for hiking, it is a product that is hands-free and one that can save your best friend from lifelong dangers of improper leashing. Designed by experts, this leash is perfect for the entire family – and any hiking trip that you planned out. It is the perfect gift for dog lovers as well – coming with a 100% money back guarantee. All you need to do is try it and see how it works! Nothing beats the crisp mountain air, smell of nature and a day full of sunshine in the great outdoors with your dog. Whether you are planning your first (in a while) hiking trip or are an avid hiker, it’s time to gear up and give yourself and your dog the maximum comfort up there. We hope you liked our advice on finding the best dog leashes for hiking!